Nikola Tesla (1856–1943) was one of the greatest and most enigmatic scientists who played a key role in the development of electromagnetism and other scientific discoveries of his time. Despite his breathtaking number of patents and discoveries, his achievements were often underplayed during his lifetime. Nikola Tesla was born 10 July 1856, of Serbian nationality in Smiljan, the Austrian Empire. Tesla was a bright student and in 1875 went to the Austrian Polytechnic in Graz. However, he left to gain employment in Marburg in Slovenia. Evidence of his difficult temperament sometimes manifested and after an estrangement from his family, he suffered a nervous breakdown. He later enrolled in the Charles Ferdinand University in Prague, but again he left before completing his degree. During his early life, he experienced many periods of illness and periods of startling inspiration. Accompanied by blinding flashes of light, he would often visualise mechanical and theoretical inventions spontaneously. He had a unique capacity to visualise images in his head. When working on projects, he would rarely write down plans or scale drawings, but rely on the images in his mind. In 1880, he moved to Budapest where he worked for a telegraph company. During this time, he became acquainted with twin turbines and helped develop a device that provided amplification for when using the telephone. In 1882, he moved to Paris, where he worked for the Continental Edison Company. Here he improved various devices used by the Edison company. He also conceived the induction motor and devices that used rotating magnetic fields. 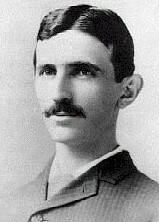 With a strong letter of recommendation, Tesla went to the United States in 1884 to work for the Edison Machine Works company. Here he became one of the chief engineers and designers. Tesla was given a task to improve the electrical system of direct current generators. Tesla claimed he was offered $50,000 if he could significantly improve the motor generators. However, after completing his task, Tesla received no reward. This was one of several factors that led to a deep rivalry and bitterness between Tesla and Thomas Edison. It was to become a defining feature of Tesla’s life and impacted his financial situation and prestige. This deep rivalry was also seen as a reason why neither Tesla or Edison was awarded a Nobel prize for their electrical discoveries. 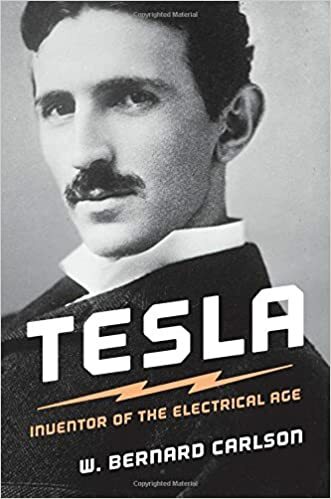 Disgusted that he did not ever receive a pay rise, Tesla resigned, and for a short while, found himself having to gain employment digging ditches for the Edison telephone company. In 1886, Tesla formed his own company, but it wasn’t a success as his backers didn’t support his faith in AC current. In 1887, Tesla worked on a form of X-Rays. He was able to photograph the bones in his hand; he also became aware of the side-effects of using radiation. However, his work in this area gained little coverage, and much of his research was later lost in a fire at a New York warehouse. In 1891, Tesla became an American citizen. This was also a period of great advances in electrical knowledge. Tesla demonstrated the potential for wireless energy transfer and the capacity for AC power generation. Tesla’s promotion of AC current placed him in opposition to Edison who sought to promote his Direct Current DC for electric power. Shortly before his death, Edison said his biggest mistake was spending so much time on DC current rather than the AC current Tesla had promoted. In 1899, Tesla moved to Colorado Springs where he had the space to develop high voltage experiments. This included a variety of radio and electrical transmission experiments. He left after a year in Colorado Springs, and the buildings were later sold to pay off debts. In 1900, Tesla began planning the Wardenclyffe Tower facility. This was an ambitious project costing $150,000, a fortune at the time. In 1904, the US patent office reversed his earlier patent for the radio, giving it instead to G. Marconi. This infuriated Tesla who felt he was the rightful inventor. He began a long, expensive and ultimately unsuccessful attempt to fight the decision. Marconi went on to win the Nobel Prize for physics in 1909. This seemed to be a repeating theme in Tesla’s life: a great invention that he failed to personally profit from. Nikola Tesla also displayed fluorescent lamps and single node bulbs. Tesla was in many ways an eccentric and genius. His discoveries and inventions were unprecedented. Yet, he was often ostracised for his erratic behaviour (during his later years, he developed a form of obsessive-compulsive behaviour). He was not frightened of suggesting unorthodox ideas such as radio waves from extraterrestrial beings. His ideas, lack of personal finance and unorthodox behaviour put him outside the scientific establishment and because of this, his ideas were sometimes slow to be accepted or used. Outside of science, he had many artistic and literary friends; in later life he became friendly with Mark Twain, inviting him to his laboratory. He also took an interest in poetry, literature and modern Vedic thought, in particular being interested in the teachings and vision of the modern Hindu monk, Swami Vivekananda. Tesla was brought up an Orthodox Christian, although he later didn’t consider himself a believer in the true sense. 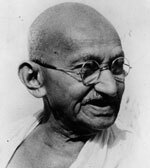 He retained an admiration for Christianity and Buddhism. As well as considering scientific issues, Tesla was thoughtful about greater problems of war and conflict, and he wrote a book on the subject called A Means for Furthering Peace (1905). This expressed his views on how conflict may be avoided and humanity learn to live in harmony. Tesla was famous for working hard and throwing himself into his work. He ate alone and rarely slept, sleeping as little as two hours a day. He remained unmarried and claimed that his chastity was helpful to his scientific abilities. In later years, he became a vegetarian, living on only milk, bread, honey, and vegetable juices. Tesla passed away on 7 January 1943, in a New York hotel room. He was 86 years old. 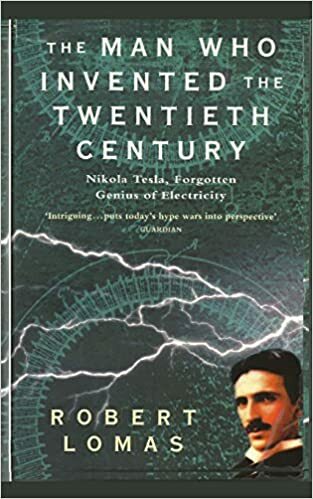 After his death, in 1960 the General Conference on Weights and Measures named the SI unit of magnetic field strength the Tesla in his honour. Scientists – Famous scientists from Aristotle and Archimedes to Albert Einstein and Charles Darwin. Including mathematicians, biologists, physicists and chemists. Inventors – Famous inventors including Cai Lun, Leonardo da Vinci, Galileo, Thomas Edison, Nikola Tesla, Sir Isaac Newton, James Watt and Samuel Morse. Inventions that changed the world – Famous inventions that made a great difference to the progress of the world, including aluminium, the telephone and the printing press.